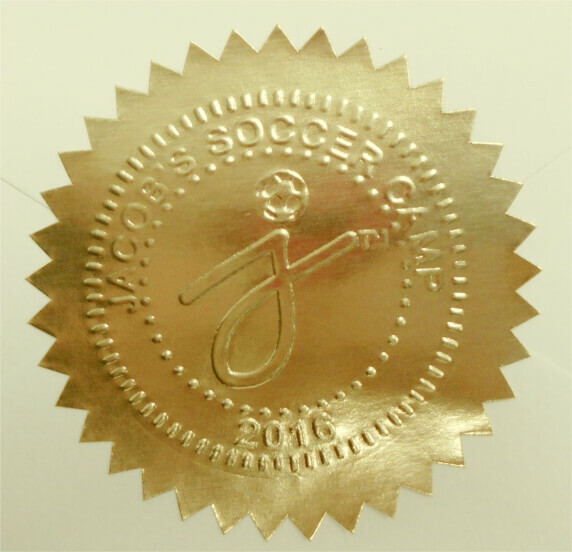 Package of 40 Glossy Gold Starburst Foil Embossing seals. One package of 40 HIGH GLOSS Gold Foil Embossing labels. Designed to give a maximum "3-D" effect, these 2-1/4in. diameter labels will work great with any of our embossers. The traditional "starburst" die-cut design will add class and professionalism to any embossed image.